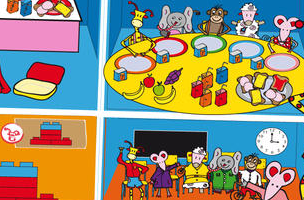 Bo’s School Day is our Recommended Children’s App of the Week. Bo’s School Day offers kids a fun and educational story-game that shows them in 10 scenes how a day at kindergarten or school could look like. In the start screen, kids can also choose the separate puzzle option and just make jigsaw puzzles! What children’s apps do you recommend? Please add it to our Recommended Apps for Kids directory. To share an app, fill out our simple form below. Once you complete it, your app suggestion will be stored in our growing database of great apps for kids. We will use this directory to plan features and share new digital tools with our readers. You can also download an Excel version of the directory to sort the results for yourself.